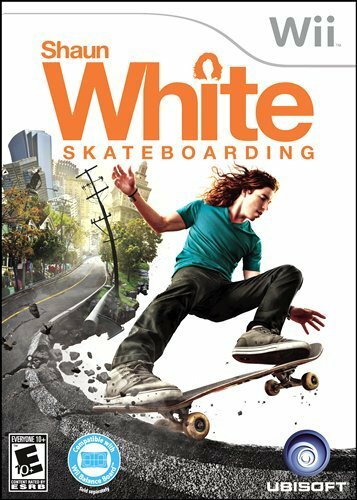 We at Vapor are extremely excited for this Sunday’s release of the highly anticipated Shaun White Skateboarding video game, Ubisoft’s first skateboarding game in the Shaun White franchise. Developed in close collaboration with the renowned skateboarder, Shaun White Skateboarding invites you to transform your world into the ultimate skating paradise. Make alleys into half-pipes, empty fountains to make bowls, and extend rails for endless grinds. Whether skating alone or with friends, you can find or create your perfect skate spot, try out tons of tricks hand-picked by Shaun, including his own creation, the “Armadillo”, and compete in a variety of challenges. Shaun White Skateboarding is the only game that gives you the power to shape, create, and ride the ultimate skatepark. Shaun White is a two-time Olympic gold medalist in snowboarding, and is the first athlete to win both gold medals in skateboarding and snowboarding at the Summer and Winter X-Games, as well as the only person to win both a Summer and Winter Dew Cup. Fresh off his third straight skate vert event title on the Dew Tour, Shaun White Skateboarding is an exciting game that is not only about skateboarding, but youth culture as well. The player’s quest to bring colour back into their black and white world is accompanied by upwards of sixty musical tracks selected by us here at Vapor, and we can’t wait for you to hear them in action! Learn more about each artist featured in Shaun White Skateboarding by clicking the links above! ~ by vapormusic on October 21, 2010. Vapor Music is a full service sound facility specializing in original music composition, licensing & music supervision for television, film, video games and new media, radio, as well as sound design & voice direction.